The Ultimate Gymnastics Guide to Coaching Bars | Swing Big! The Ultimate Guide to Coaching Bars provides 71 illustrated drills to give you the best foundation for coaching bars. This book is divided into chapters based on skills and ideas. There are: kips, cast handstands, clear hips, pirouettes, recreational bars and misc drills/conditioning. 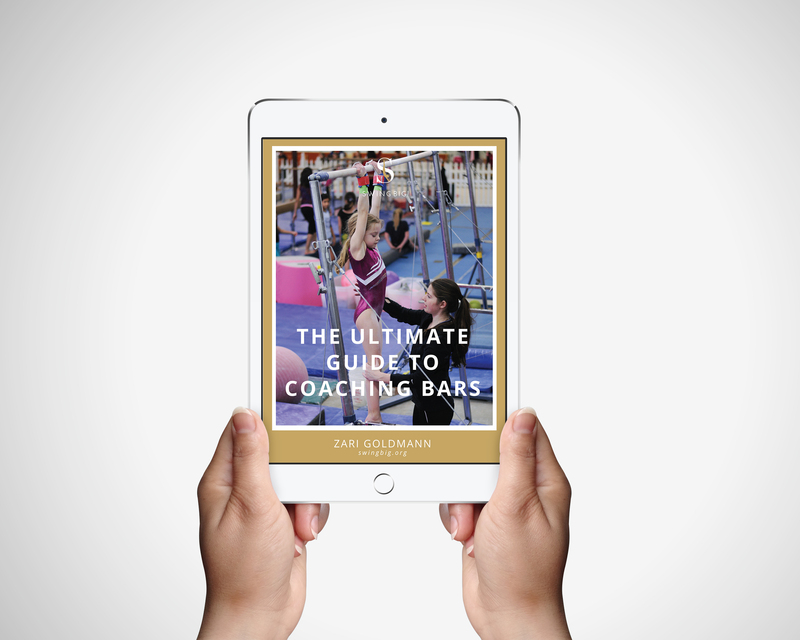 The Ultimate Guide to Coaching Bars will help you develop a set of comprehensive bars drills that will help you take your gymnasts to the next level. These drills help coaches teach proper technique, minimize fear, fix form, develop correct shapes and create confident healthy gymnasts.